In the past year, there's been a rapid increase in the amount of video game themed television shows, movies and animations being developed. Major live-action movie blockbusters are being created for Sonic the Hedgehog and Pikachu, and the animated Castlevania Netflix series is already on season two. In a recent interview with Variety, Illumination Founder Chris Meledandri provided some insight into the upcoming animated Mario movie. Having previously produced Despicable Me and The Life of Pets, Meledandri relishes the challenge of adapting an IP that previously suffered from a rough transition. This is a reference to the 1993 Super Mario Bros. movie that was critically panned. I like that this was not done well the first time... I think that’s more exciting or more worthy than simply making another version of a film that was done incredibly well to begin with. Meledandri thinks part of the problems with the original didn't work with the creator, whereas this modern version is working closely with Nintendo and particularly Shigeru Miyamoto. We are keeping him front and center in the creation of this film... I’ve rarely seen that happen with any adaptation where the original creative voice is being embraced like we’re embracing Miyamoto. There’s a history in Hollywood of people believing that they know better than the people responsible for a property. I’ve made that mistake before. He said the major challenge was finding depth and at the same time not compromising what generations of fans love. It’s an ambitious task... The challenge is taking things that are so thin in their original form and finding depth that doesn’t compromise what generations of fans love about Mario, but also feels organic to the iconography and can support a three-act structure. According to Meledandri, Super Mario Bros. is in priority development at Illumination and could arrive in cinemas as soon as 2022. Are you looking forward to it? Tell us below. As soon as 2022? Now that's what I call priority development! I'm very dubious on the quality of this... but I'd love to be wrong. I think they are taking a good first step to know the history of the "failed" movies in the history of video games, just need to really understand the "essence" of Mario Bros games and devote themselves very well in the development, and if they have enough time, then they have more facility to not make mistakes! Not gonna judge yet since we know nothing about it...But however it turns out, It will at least be better then the original...thats not hard though. Hopefully it’s better than their other Non-Despicable Me movies. Hmm...that's a lot further out than I thought it's be, if they dilly dally too long people will lose interest. I'm all for more games, but I do think it'd be wise if Nintendo prioritized some of their other venues (theme park, movies, Quality of Life (unknown if that's still a thing), amiibo). Though I guess they are finding success with and starting to branch out more in mobile. I'm now considering that this movie might actually be an exceptional film. The bar's still pretty low for me, though. I really hope this means we finally get an indepth look at Bowser Jr.'s origin story. I’ll assume that Toads will be brainless and made cuter, so they can sell more merchandise. I like the tune he's playing, but will it match up with the rest of the symphony? So the cast will be Mario, Bowser, Peach and 500 toads. After seeing Miyamoto do those Pikmin shorts a while back, this will be very interesting. The feelings before this movie's release are kinda like before we watched the Pikmin shorts, but with added anticipation. Nice of the princess to invite us over for a picnic eh Luigi? Hope it wont come out! Given what Miyamoto's creative voice did to the Paper Mario franchise, this isn't good news to me. Nintendo won't let it happen again. I love Miyamoto's Pikmin shorts so I'm sure this will be as good, if not better. 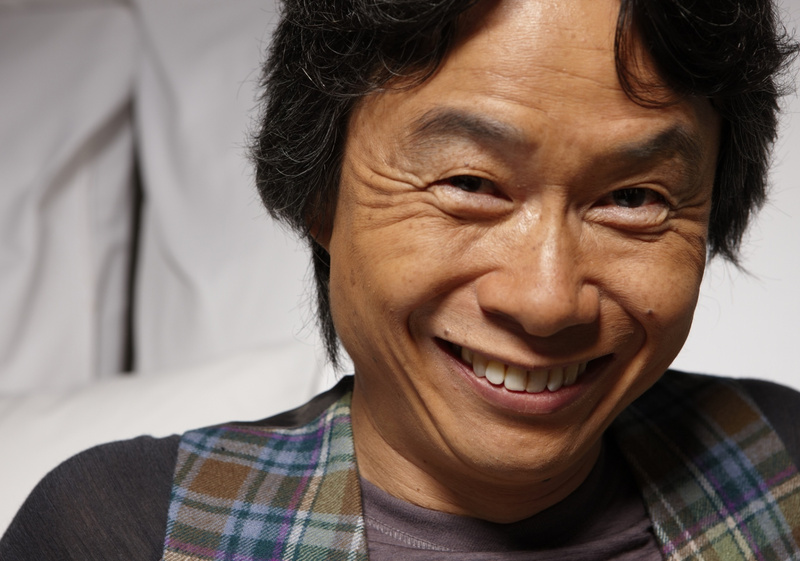 Did you guys know that Miyamoto doesn't like video games at all? He is more interested in music, working at Nintendo is just a job. That's why when Nintendo interviewed for applicants, they look for non-gamers to work there. They want employees who can bring their other interest/creativity to video games, not doing video games for the sake of video games. This explained the unexpected and strange ideas they have at Nintendo compared to other gaming companies. The source of inspiration for their games came from non-gaming origin. The film is still going to blow! Sorry but can anyone name a film that is based on a computer game that was good??? I love the Resident Evil films, but I am not saying they are good. @TheWormThatGnaws this ones not live action so it's more likely to be decent at least. Also we have gotten anime based on video games that was pretty good like the Pokemon anime(before it outlived itself), clannad, stains;gate, fate, monster strike, etc that being said, this one will most likely play out like a Saturday mourning cartoon much like how most Mario games tend to do. Its one of those hope for the best, expect it to goto hell scenarios regardles. @Mrtoad isn't it aleady to late for that? Most toads are already a part of the lovable idiot archtype. Same thing with browser's minions. Sounds even worse with Miyamoto deeply involved, to be honest. He says they want to avoid the film's depth to be paper thin and that's what they're gonna get with Miyamoto's approach to literally everything. If no Minion or minionesque characters appear in this movie, this movie is great by default. I fully expect it to be at least as good as the CD-i game cutscenes. I actually enjoyed the Mario Bros live action movie for what it was. A fun little escaped into an warped and decaying Mushroom Kingdom. I have some hope that this animated one will turn out to be ok. A thin hope at best, but it's there. @Bunkerneath that's a loaded question since good is subjective. I enjoy a lot of films based on games but critics don't, so you're never going to get a standout answer. If you mean faithful to the source material, most are naff. Prince of Persia, Assassin's Creed and Mortal Kombat are the only ones I can think of that were anywhere near faithful to the game. First it was a SONIC ANIME. Then it was a live action mario bros movie..
Then mario bros on ice.. I respect what was said about Hollywood thinking they have all the answers and learning from that. While I'm confident that Mario can be a full length animated movie, I'm having trouble understanding if this will be a grunt/expression film, or will there be dialogue. It matters, cause that alone could make or break the movie. The rest is all animation and sound, and I'm sure that will be the least of anyone's worries. Yeah... my money’s still firmly on “not gonna happen”. I can't WAIT for this movie!!! !